As an Apple fanatic, I’m still trying to get over the disappointing features of the iPhone 7, announced on September 13. The same day, iOS 10 was released. iOS 10 — now, that’s a software update worth the wait! A big part of the iOS 10 launch was a massive update to Apple's iMessage. The update include new "gestures," the in-line ability to add gifs and handwritten notes, but, one thing that really got people's attention was the ability to now add a variety of unusual, and sometimes even branded, stickers to your iMessage conversations. Could this be a next big mobile marketing opportunity for brands? In case you haven't been keeping up with the news, iMessage stickers are little graphics (sometimes animated) you can send to friends via iMessage. They're similar to the stickers you can now add on Facebook Messanger and Snapchat, and are just one of the many branding opportunities marketers are flocking to messenger apps for. Stickers and the other changes made to be the app appear to Apple's response to the popularity of these other messenger apps, and many celebrities and big brands are already taking advantage them. 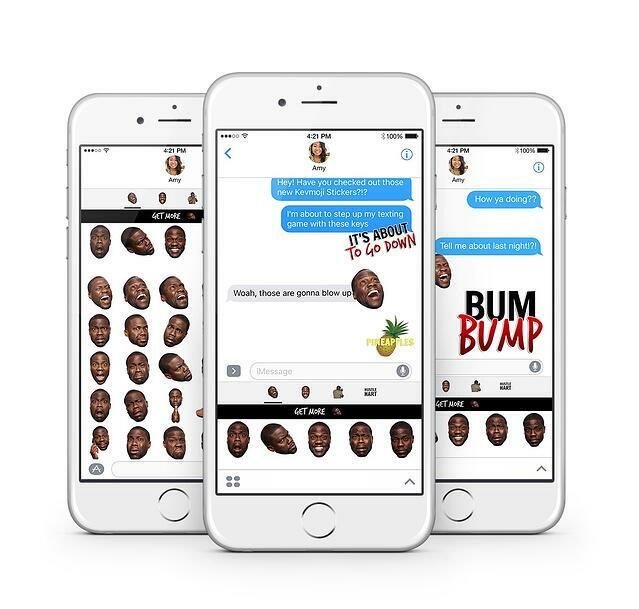 Actor and comedian, Kevin Hart explains, “When we decided to make KEVMOJI, all I knew is that we had to do something no one else was doing. So here we are, literally changing the face of iMessage by creating a real experience through emojis and stickers, rather than in animation. With the launch of iOS 10, my production team, HartBeat Digital along with Snaps, are revolutionizing the kind of content I’m able to share with my fans." What’s the Marketing Potential of iMessage Stickers and Apps? There are already a billion active iOS devices worldwide, which give brands 100 times the audience in the App Store compared to when it launched in 2008. Brands, gaming companies, and celebrities can now monetize their IP and products inside of the iMessage Store, with sticker packs and custom apps, both of which can be offered for free or for purchase. The ability to add stickers and apps inside of iMessage reinforces the global shift to a visual-based communication medium and consumers' preference for them. 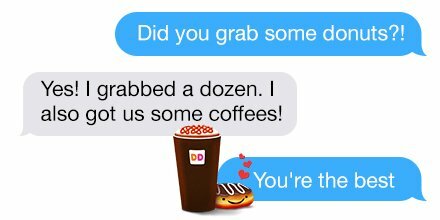 Coach, Burger King, Marriott, L’Oreal, Dove, Dunkin’ Donuts and Sephora, among others, are all launching content experiences inside of iMessage on iOS 10 to help build awareness and "delight" their customers. Coach created a social iMessage app, which functions as a "look builder" between friends, while Burger King and Dunkin’ Donuts are offering iMessage sticker packs. With the services we’re accustomed to using on the web is now available in iMessage, the Apple platform is now positioned to be the new big player in mobile optimization. iMessage is now where billions are "hanging out." Existing companies need to establish a presence here and stay ahead of startups focusing exclusively on this content in order to stay competitive. With a store being added directly into iMessage, consumers can buy and share where they spend the most time on their phone. What’s more, apps in iMessage are lightweight in size and therefore: quick to install, relatively easy to build, and quick to spread -- unlike most mobile apps. They’re also easy to monetize, because there’s such a massive distribution opportunity with an estimated 800 million iMessage users. iMessage is weaving together communication, creativity, and collaboration by giving brands the ability to build truly interactive, visual applications on a platform where people are already activity engaging. Social shopping, dating, and gaming, among other passtimes are now possible inside of iMessage and the marketers' dream of frictionless commerce is coming, quickly. With shoppable stickers and in-line apps that allow you to make a purchase, we are moving from conversation to commerce at an exponential rate. Featured image created using Placeit.net.